I'll tell you how to use the laptop's wireless router as a modem with the requirement that the laptop is wired or wired wirelessly. This is a short-term, temporary solution for using the laptop as a wireless wifi router or modem. I also need such an application because my mobile Internet is not good enough and I will tell you how to do it. 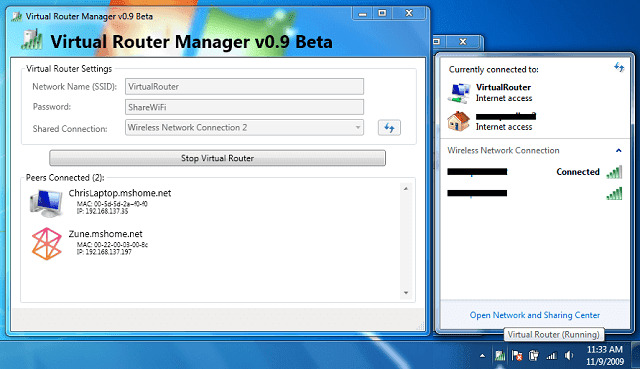 You can download our program from the virtual router and download section. (Download the program) you will see an interface as follows. In this interface, you should write the name of your wireless network and write the password you set in the Password section. Then the connection you want to share, that is, if you are connected to the internet, if you are connected via the internet, you will share the Internet.